I can't believe it is the 3rd week of August already so that means we are only a couple weeks from Fall starting to arrive in the U.S.. Time flies by way to fast because that means we are only 3 1/2 months away before Christmas is here! So if you want to beat the rush and start on your Christmas Cards Deedee is giving away the Christmas basket from this month DOM set to everyone for FREE! Go to the ORIGINAL POST to get your free image. 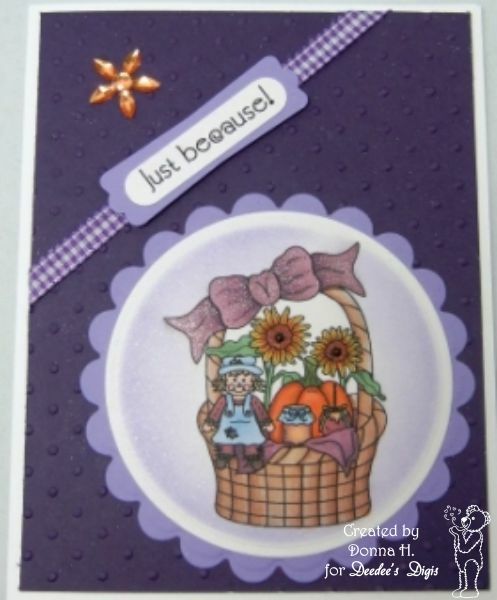 Donna and NanaConnie must have realized how close Fall really is as they have started to make Fall cards. Check out these beauties for some inspiration! Now it's your turn! 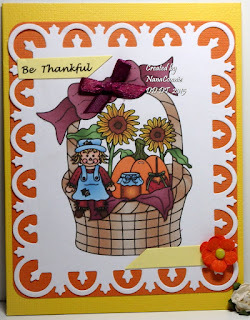 To join this month's challenge, please make any wholesome project using this set, and then link directly to your project using the linking gadget at the bottom of this post by 23:55 (11:55 pm) Pacific Time on Sunday, 30 August 2015. If you are inspired to make more than one project we would love to see them all...no limit on the number of times you can enter! 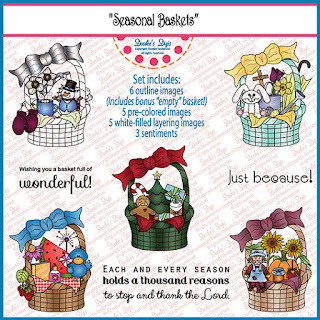 You must make at least one project and link it up to the original post to get next month's featured set emailed to you. We can't wait to see what you all make! 3-D Saturday: Last Sip of Sweet Summertime! Opportunity...what does that mean to you?